The third international birth control conference took place in 1952 in Bombay, India. Here physicians, scientists and demographers from the United States, and countries throughout Europe and Asia met to delve into the factors behind the growing human population. Their hopes were to begin research on human reproduction and encourage the establishment of national planned parenthood birth control organizations. This conference especially significant in that it was the first of its kind to be held in the far east. The International Planned Parenthood Federation was established at this conference, and it was the first global birth control organization. Unlike other branches of Planned Parenthood, the International Planned Parenthood Organization was not mainly focused on women’s rights, but instead it was focused on social and economic pressures that were arising from such a massively growing female population. The organization’s initial membership included Great Britain, India, Sweden, the Netherlands, the United States, Hong Kong, Singapore and West Germany. Much of the fourth international birth control conference held in 1953, again in Sweden, was focused on the logistics involved with the International Planned Parenthood Federation. Leadership roles were assigned, with Margaret Sanger being elected as the first president. The goals of the organization were also created, which was to allow for the complete acceptance of the planned parenthood organization, along with the development of programs focused on service research and education. India, especially, was a country focused on birth control and family planning. By the 1950’s India was already overpopulated, and dealing with the social and economic effects. When the Indian government created their first five year plan, they included within it a family planning program, which was a huge event for the movement. The aim of this program was to provide services related to family planning and to conduct research on effective measure of fertility control. By 1954, there was so much concern surrounding the growing international population that the United Nations hosted their first World Population Conference in Rome. The objective of this conference was to compile data regarding population trends. This conference clearly defined the severity of the population issue, and the use of population control and family planning became more effective than using maternal health as an explanation for the necessity of birth control. Notably, birth control began to be administered to the peasant populations in India, Pakistan and Ceylon in the same year. This action described that the effects of a quickly growing population were being felt. While birth control was gaining more acceptance in some parts of Asia and Europe in the beginning of the 1950’s, it was not until 1955 that Latin America hosted an international birth control conference. The International Planned Parenthood Federation held their pioneer conference in San Juan Puerto Rico. Another major conference was held later in 1955 in Tokyo, with representatives from over twenty countries. Again this conference focused mostly on world population trends and methods of controlling a growing population. The 1950’s brought a new importance to the birth control movement on a global scale. At a time when the human population was growing at an estimated rate of 90,000 people a day, birth control became recognized as a method to slow the population growth that could potentially lead to serious conflict over resources. This post war population growth shifted from a focus just on women’s issues, to the broader concerns of slowing the growth of the world population. Specifically, the International Planned Parenthood Federation was founded to address these arising global issues. The involvement of government and the United Nations was one of the major advantages of this approach. The global population crisis proved the necessity of family planning and birth control, as it seemed as though a population that continued to grow as quickly would lead to serious tensions over access to resources. And when I say Thor, I don’t mean the Norse god of thunder. However, I am referring to the Swedish statistician, Dr. Thor Andersson. For the past five weeks, I have been trying to locate the man named Thor Andersson. And for five weeks, I have been raiding Google books, scouring Swedish online libraries and searching Sanger correspondences for a hint of who Thor Andersson is. I have never tried so many search term configurations. But magically, with what feels like my 100th configuration, his face popped up. I could finally put a face to the elusive Dr. Thor Andersson. Dr. Thor Andersson, Swedish statistician, date unknown (Publicistklubbens porträttmatrikel). I was given the assignment to research Dr. Thor Andersson as soon as I began my internship here at the Sanger papers. I was motivated to collect every word of information I could on him within the first day. Unfortunately, I found zilch. The following days I kept at it, however, my motivation dwindled after search, after search turned up empty. So a few days ago, after a reprieve from Thor Andersson hunting, I began again. And there they were; several links and publications about the man who had been hiding in the corners of the web from me. I can feel your anticipation. Let me tell you who is Dr. Thor Andersson. Andersson was born in Skellefteå, a city in the Northeast of Sweden, on April 18, 1869. Before becoming a rather prominent figure in Swedish statistics, Andersson would study at Göttingen. Andersson was unable to procure admission to pursue a doctorate degree and therefore, studied at Göttingen in Germany. While at Göttingen, Andersson studied under Wilhelm Lexis. His research focused on Swedish accident insurance, which would develop into his dissertation. Andersson received his doctorate degree in 1903. After completing his academic studies, Andersson began his career in statistics. He would write several publications concerning Swedish insurance policy, including publications on the accident insurance in the fishing industry. Now, speaking of the fish industry. And guess who the secretary was? Along with his role as secretary and publisher for both of these organizations, Andersson pursued his own publishing aspirations. 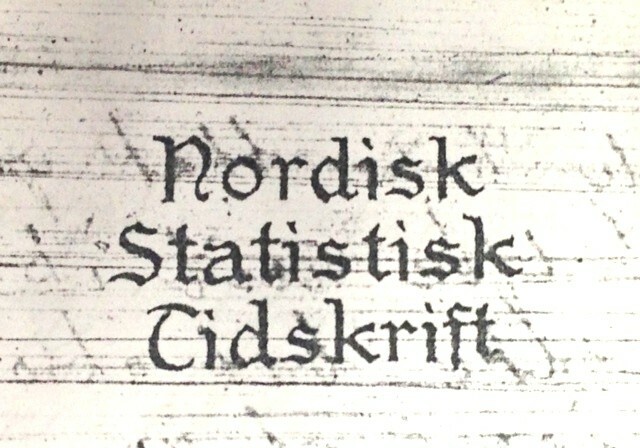 Beginning in 1922, Andersson would begin publishing Nordisk Statistik Tidskrift, the Nordic Statistical Journal. The journal was designed to provide readers with a sample of statistical work from Nordic and international sources. Nordisk Statistik Tidskrift heading found on Dr. Andersson’s letters to Margaret Sanger, 1928 (Library of Congress). But what does Thor Andersson have to do with Margaret Sanger? Don’t worry I’m getting there. None other than Margaret Sanger! The aforementioned report was on the World Population Conference (WPC). In 1927, Andersson attended as one of the delegates from Sweden. The conference had been organized by Margaret Sanger to “bring up and discuss all the more important aspects of that problem of population which is beginning to loom so large in the public mind.” By examining the correspondence between the two, it seems that they originally met at the conference. Okay, so they briefly met at a conference on the issue of overpopulation. Would this go anywhere? In a letter written to Sanger, Andersson thanks Sanger for organizing the events of the WPC. He goes on to emphasize the importance of statistics in the work of the World Population Union (WPU). He also mentions that Sanger’s “lovely baby,” the future of the WPU, is in the prison of bad statistics. So how does Andersson suggest fixing this? In another letter written to Sanger, Andersson again mentions Sanger’s “baby.” And in addition, he drops several names of statisticians and professionals that he believes would be suitable for the work of the WPU, as well as those that should be removed from the WPU so has not to leave “your [Sanger’s] baby in the hands of the brigands” (such as Karl Edin). He further uses this letter to promote his journal. In the letter, Andersson recounts how he spoke to Sanger in Geneva about his desire to launch an English edition of his journal. Andersson explains “that especially the English edition may be of the best use for the WPU and for your [Sanger’s] own cause.” He further asks Sanger to help him procure 1000 subscribers to the English edition of his journal so that it can be safely launched. I shall be most pleased to help you launch your magasin in English, but you doubtless have proper support for this venture. If not, I shall be pleased to assist you upon my return to America. The English version of the journal was first published in 1929. It is unclear whether any involvement by Sanger motivated the publication of an English edition; however, Andersson would go on to publish volumes of his journal until 1932. There is another event in the Sanger-Andersson story that is noted by their correspondence. In the summer of 1934, Sanger, along with her son Grant, was conducting a tour of Scandinavia and the Soviet Union to encourage the use of birth control and the creation of birth control clinics. During her visit, Thor Andersson hosted Sanger and her son to a private dinner party in Stockholm. The guest list of the dinner party included the American minister to Sweden, Mr. Laurence Steinhardt, and Professor Edvard Phragmén. I was finally able to piece together some of the events around the correspondences and publications of Thor Andersson. Was it time consuming and at times, frustrating? Yes. However, in the end it was rewarding to find an actor in history who, at times, seemed to not exist. Publicistklubbens porträttmatrikel,1936. Projekt Runeberg: http://runeberg.org/pk/1936/0034.html, accessed July 15, 2013. 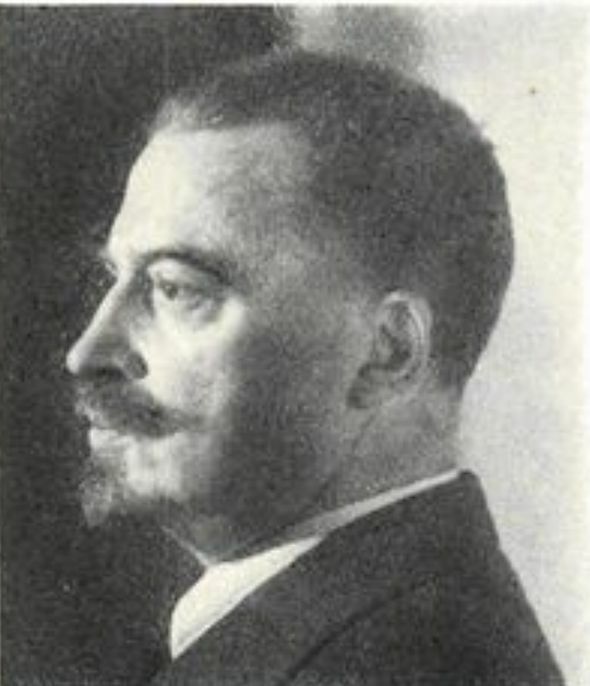 Wilhelm Lexis was German statistician and social scientist. He is noted as the founder of the study of insurance and the creator of the Lexis ratio in statistics (statprob.com/encyclopedia/WilhelmLEXIS.html). “För kår eller yrkesintressen,” Brand och Liffsförsäkrings Aktie-Bolaget SVEA, 1915, Stockholmskällan: http://www.stockholmskallan.se/PostFiles/SMF/SD/SSMB_0023983_1915_77.pdf, accessed July 15, 2013. The Papers of Margaret Sanger, Library of Congress, LCM 139:0076. The World Population Union is also known as the International Union for the Scientific Investigation of Population Problems. The Union was formed after the WPC in order to further pursue questions regarding overpopulation. Andersson, Thor, “The World Population Union,” Nordisk Statistik Tidskrift, Stockholm, 1927. The Papers of Margaret Sanger, Library of Congress, LCM 20:0025. In the letter, Andersson says of Edin that “you [Sanger] couldn’t rely on him.” In a following letter to Sanger, Andersson had already implied his distaste for the work of Karl Edin, a Swedish sociologist, who had claimed that the fertility rates among the lower classes in Stockholm were lower than the fertility rate of the upper class, while the infant mortality rate in the lower classes was greater than that of the upper class. Andersson states that these statements “are still yet not scientifically founded and the scientist has to see and wait until they will be so, if it is possible;” the science being that of statistics. (The Papers of Margaret Sanger, Library of Congress, LCM 20:0020). The Papers of Margaret Sanger, Library of Congress, LCM 20:0017. The Papers of Margaret Sanger, Library of Congress, LCM 20:0173. The Papers of Margaret Sanger, Library of Congress, LCM 20:0176.